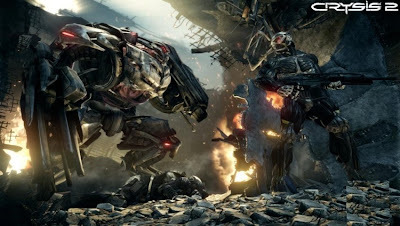 Crytek will be releasing a multiplayer demo for Crysis 2 on Jan. 25th. It's gonna be an awesome since that is also when Dead Space 2 releases, as well as the Bulletstorm demo from People Can Fly. The Crysis 2 demo will feature some 6 on 6 multiplayer action and will include a map called Skyline, will feature two game modes: Team Instant Action and Crash Site, an deathmatch and objective variant with some Crysis flavor. The demo is exclusive to Xbox 360, so hopefully it will only be a timed exclusive.